Mixed Martial Arts is the world's fastest growing sport and if you are looking to get your company, products or services in front of an extraordinary amount of people, you have come to the right place. The demographics of those who visit our site are mostly college educated males between the ages of 20 to 35 years of age. All Star Promotions offers a variety of options for advertising. Advertising packages are listed in the button below. We also offer customized packages to fit your advertising needs. To request an advertising package, please contact us. 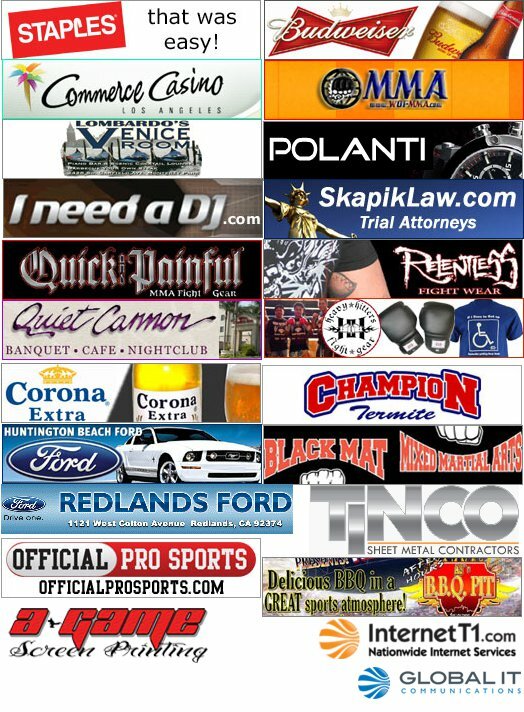 Advertisers receive website listings, banner ads on our website, fight night marketing opportunities and spots on our monthly newsletters.